Most people have been in a new relationship and celebrated a special occasion such as Christmas with their partner. The common fear that arises around this time is what gift do I give that meets the Goldilocks and the Three Bears convention of not being too little or too much but just right? 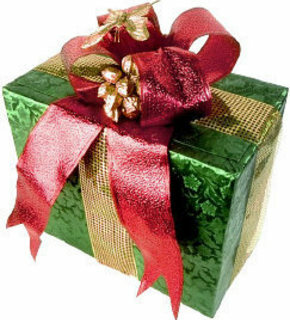 Gift giving for clients should be approached much like gift giving in a new relationship; with caution. As we enter the holiday season, minds will shift from media releases and social media monitoring to more enjoyable tasks such as deciding what gifts to send your clients for Christmas. There are several things to consider when giving Christmas gifts to clients and to ensure you send a gift that is well received we have some helpful tips to guide your decisions. How long have you known the client? You’ve been with your partner for one month and for Christmas you’ve decided to get her a pair of diamond earrings, too much, too soon? We think so. Much like a new relationship, a new client may be made to feel uncomfortable by an inappropriate gift, as the relationship has only just begun. It is important to consider how long you have known them and worked with or for them. Gifts for everyone! The more the merrier right? Wrong. What is an appropriate gift? A Christmas gift for a client could be as simple as a card that thanks them for their business throughout the year and lets them know that you’re looking forward to an exciting 2012. A general rule to guide your gift giving is to keep it reasonable; gifts shouldn’t be over the top in expense or too cheap. Giving clients a Christmas gift should also be a genuine gesture, free of any hidden motivation (sometimes they won’t event acknowledge they have received it but its not because they don’t value the gesture they are just busy. Unless you know the specific likes of your clients or suppliers try to keep it generic and unisex. If you want to get creative with gifts that’s fine but just keep in mind what it might say about your company- if in doubt apply the ‘what would you think if you received this gift’ test. Keep these considerations in mind this Christmas and give your clients gifts that are well received and appropriate because no one wants to be the person, one month into the relationship that gives a pair of diamond earrings when they should have given a card.